Thomas Ntimpirangeza, President of Gitega Court of Appeal and Prime Habiyambere, a judge working for the same institution were arrested on February 21, 2018 under the order of the public prosecutor. Sylvestre Nyandwi, Attorney General, says they were arrested for investigation into corruption allegations. “They were arrested after the Office of the Attorney-General has launched an investigation into some corruption cases under their responsibilities”. Nyandwi says judges, like other citizens, can be arrested. 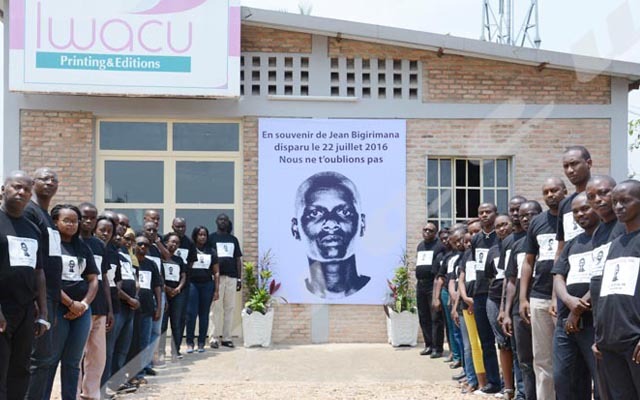 “In Burundi like elsewhere, no one is above the law, including judges who are responsible for its application,” he says adding that the latter should instead be a good example to follow in the fight against corruption. He appeals to judicial officials in general to shun any behavior that could lead to corruption cases. “The law will be applied to whoever is involved in corruption cases, regardless of their status,” he says. Nyandwi deplores the fact that some people keep spreading “baseless” rumors about their arrest. “I take this opportunity to quash rumors that are being spread on social media that the President of the Gitega Court of Appeal was arrested because he would be calling people to vote No to the upcoming constitutional referendum”. He says protecting criminals is a way of encouraging impunity. “I dismiss this erroneous and misleading interpretation of some people whose aim is to undermine the efforts made in the fight against impunity”. The two judges were sent to Mpimba central prison.